Having a well-organized CTMS that can easily support your outsourcing model, study pipeline and global team is critical to your success. 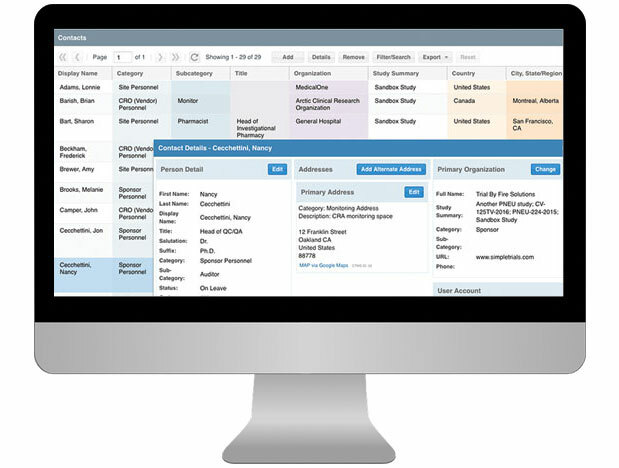 SimpleTrials comes with just the right features, is scalable for your team growth, and comes with an affordable pricing model and no long term commitments. Customize CTMS reports for additional fields, display order and cross-study reporting needs. CTMS includes an integrated eTMF that supports the DIA reference model, SimpleTrials model or build-your-own model! Set the eTMF model to be utilized per study, upload files and/or track key details for site essential documents. Establish EDC integrations to populate subject records, visit details, and support site payment activities.